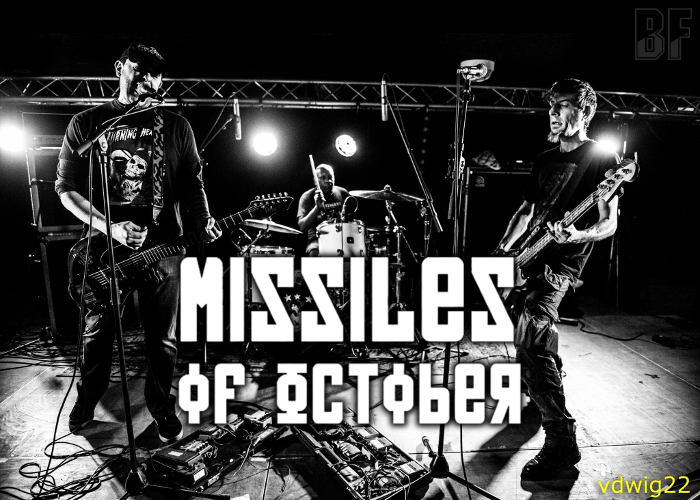 MISSILES OF OCTOBER is a Belgian three-piece band formed in 2012. They are playing a dirty, heavy and powerful tune combining of sludge, punk, grunge, stoner and noise rock. With 2 albums, 3 EP, and numerous gigs in Belgium, the UK, Netherlands, France, and Germany, they get an impressive live reputation. 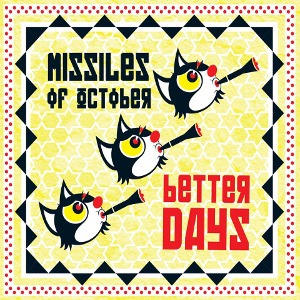 The last year 2016, MISSILES OF OCTOBER has released their second album ‶Better Days” in CD, LP, Tape, and Digital (for free) through Pogo Records, Ebus Music, Trummer Records, Bonobo Stmp, Forbidden Place, What’s For Breakfast, and Skate Pizza Records. The album was recorded and mixed by Ralf Jock and Guido Lucas at Sthor sound studio in Germany, and mastered by Nicolas Beyet. The cover artwork was created by Sisca Locca. They have played with Whores., Big Business, Cosmic Psychos, Philm (USA), Progerians, Speedozer, Dÿse, 4 times with Jucifer (USA), Hard Ons (Au), Grant National (De), Vandal-X (Be), Stinking Lizaveta (USA), King Phantom (Fr), Clarkys bacon (De), Don Vito (De), Anomalys (Nl), Membrane (Fr), Revok (Fr), The Lumberjack Feedback (Fr), La Jungle, Morkobot (It), Frau Blucher, L'effondras, Remote, Animal Youth, and Nine eleven. For fans of Unsane, Les Thugs, Jesus Lizard, Helmet, Black Flag, Mc Lusky, Unwound.